Take 3 Classes and get one free!! Beginners Welcome!! 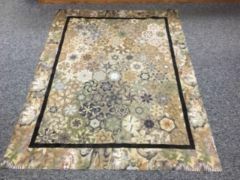 Great lap quilts using only 3 yards of fabric. Contrasting fabrics are a must to achieve the subtle beauty of this quilt. We can help pick out your fabrics with you and learn to make this Jacob's Ladder quilt. Great Baby quilt pattern, interlocking chevrons make a fun and unique looking quilt. Made easy using the Wing Clipper flying geese ruler. Collect 10 different fabrics and join us for this fun class!! 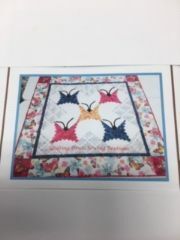 Make this gorgeous quilt using ONE fabric for the blocks and borders, you will need 4 repeats of your fabric for this project. 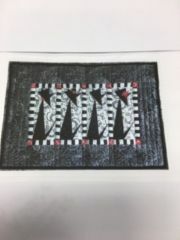 We are happy to help you pick out fabric to enhance this design. Accent your room with the soft colors of the Prairie Grass fabric line by Holly Taylor. The centers of the log cabin are beautiful Praire Grass prints. 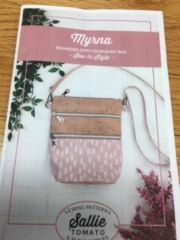 Myrna is the enlarged pattern for the Zippy Crossbody Bag, perfect size for traveling or everyday use. You'll be surprised how much you can fit in this bag. Try the beautiful zippers from Sallie Tomato, they really make your bag. Bring your Sister where ever you go!! Perfect for all your essentials, we are making the Messenger bag, 2 zippered pockets on the outside and 2 pockets on the inside. 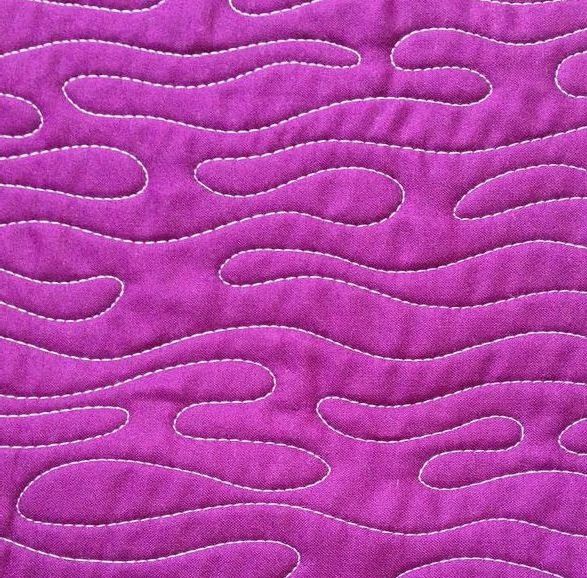 Free Motion Quilting Class !! 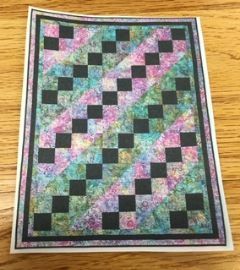 Learn to Free Motion Quilt using many different techniques, with practice, practice, practice you will be able to finish your table runners and wall hangings. 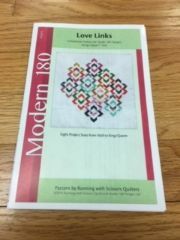 Bring 4, 12 X 12 muslin and batting sandwiches to use for learning to free motion and 1 Fat quarter/muslin and batting sandwich for thread painting. Easy cut and stitch butterflies using the 6" Curvy Log Cabin Trim Tool. There are 2 sizes of logs that create the curve of the butterfly wings.Set the blocks on point for this beautiful project. Learn to make the blocks and you can decide the size quilt you want. Fun project. 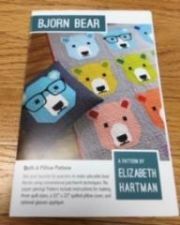 One fabric, One Shape, you will love this unusual method of designing and creating quilts. Kaleidoscope blocks, each one is unique, produced by aligning the printed design on several layers of fabric and then cutting and sewing triangles together. Find your perfect fabric and lets have fun with this project. Hope you enjoy catting around!! 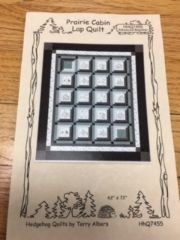 Let's learn to Paper Piece with this small project. Very cute wall-hanging for the person in your life who loves cats.